Once you enter the store and find a potential new bed, kick your shoes off and lie down. Spend a few minutes on your back, your side and your stomach -- however you normally doze off at home. The store's staff won't mind -- in fact, they should encourage it. Before buying a new mattress, take the time to try it out. A word of advice if you're shopping for a new mattress: Get comfortable. Once you enter the store and find a potential new bed, kick your shoes off and lie down. Spend a few minutes on your back, your side and your stomach -- however you normally doze off at home. The store's staff won't mind -- in fact, they should encourage it. You have to take time to find what supports you best: springs, memory foam or air? Mattresses can be as soft as feathers or as stiff as boards. But no one can tell you which mattress is the best to buy. You can only know that by testing the different options. 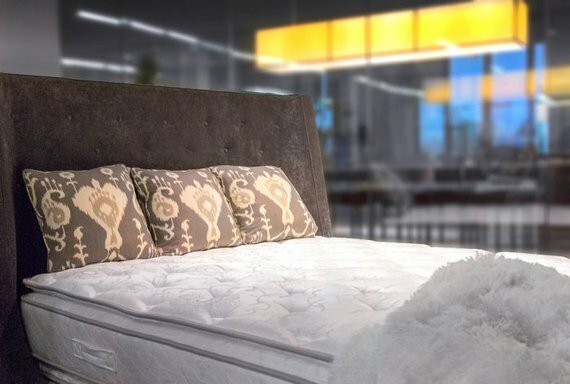 "The bottom line is, what feels and works best for them to fulfill their particular needs," says Paul Liberatore, co-owner of Indiana Mattress Company in Indianapolis. 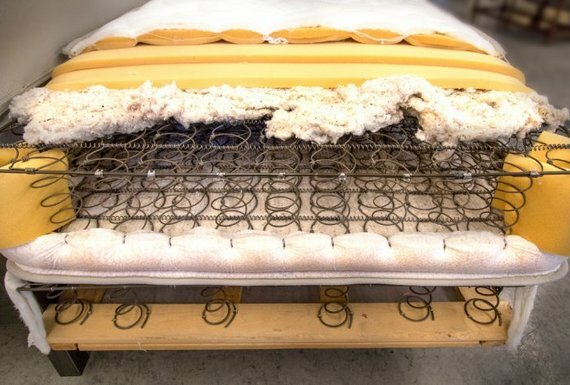 The most common mattress types include innerspring, which have springs or coils inside the mattress, and foam mattresses made with materials such as latex, polyurethane or memory foam. You can also buy air mattresses, which are pressurized and adjustable, and hybrid mattresses, which combine these different types. Different levels of firmness in a mattress offer varying levels of support. Firm mattresses are akin to sleeping on the floor, while plush mattresses are slightly softer. There are also pillow-top and ultra pillow-top mattresses, which are among the fluffiest mattresses you'll find. Liberatore says mattresses that combine springs and foam are among his most popular items, especially compared to those using air or memory foam. When it comes to spring mattresses, Liberatore says customers prefer individually wrapped coil systems. In these mattresses, the coils work independently of each other, conforming to your body. More coils means more support, and foam placed atop of the coils can increase support as well. "One must go to the store, and take the time to try out the different types of mattresses offered," Liberatore says. Equally important as testing a potential mattress is making sure you have the right size, according to The Better Sleep Council. You don't want to run the risk of rolling off the bed in the middle of the night because the mattress is too small. If you're sleeping by yourself, a full-size mattress should offer enough room, though it might feel tight if you're taller than 5 feet 5 inches. Some parents are also investing in full-size mattresses for their kids, instead of twin beds, to ensure they have enough room for a comfortable night's rest as they grow. A queen mattress is a popular choice for guest rooms, and will usually provide enough room for couples -- provided everyone stays on their side of the bed. A queen size mattress is also ideal for individuals who are taller or like to spread out while sleeping. If you want to be sure you and your partner have enough room, then it may be worth springing for a king-size mattress. Remember to measure the designated space in the bedroom before you buy -- king-size beds look smaller in a wide-open furniture showroom. Knowing the mattress dimensions ahead of time should ensure the bed fits in your room. When it's time to find a mattress manufacturer or vendor, don't forget to check Angie's List first. This post originally ran on AngiesList.com and is part of a series produced by The Huffington Post and Angie's List on the topic of sleep. The series aims to educate readers about the dangers of sleep deprivation. Angie's List is here to help improve your home, offering more than 700 types of services for your family. For more information about Angie's List, visit AngiesList.com.